My 2010 repaints re-done. Rick Piper v6 model. 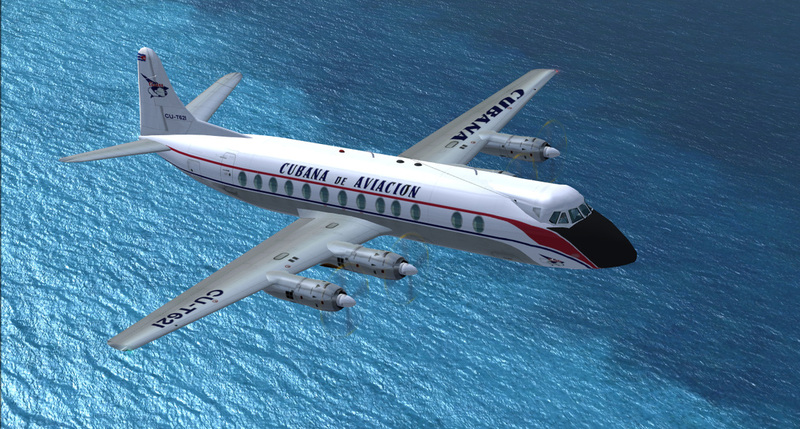 Throughout the 1950s Cubana was in the forefront of aviation in Latin America and the Caribbean. The first jet-prop Viscount 755 were purchased in the early 50's. 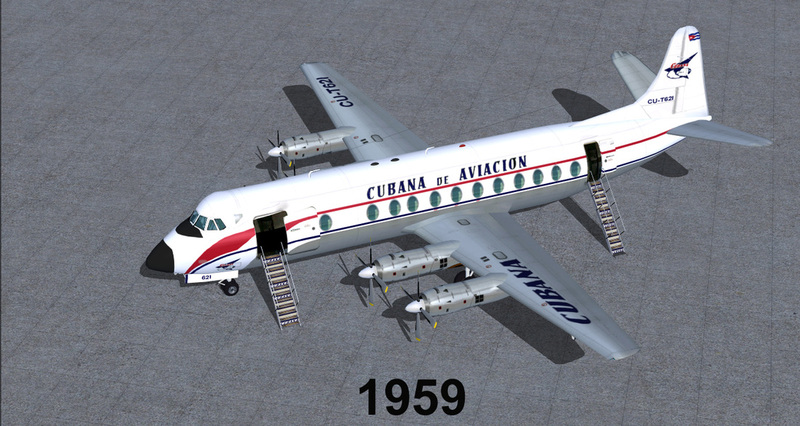 The PAA-style logo and aircraft livery Cubana had used since the 1930s were scrapped in 1957. 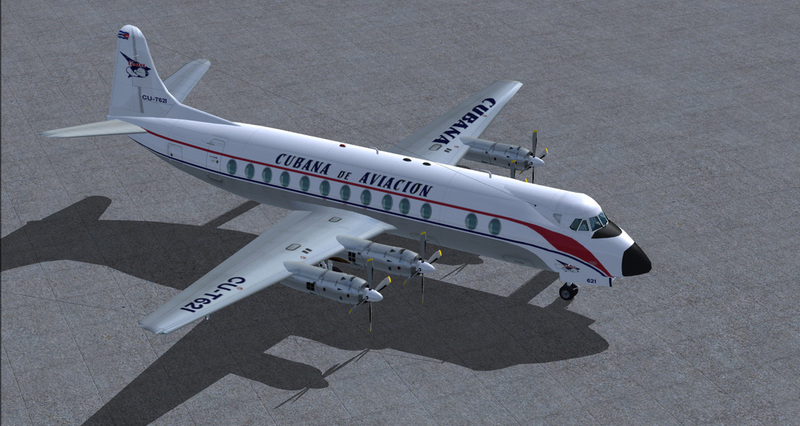 In 1957, Cubana placed orders for four Vickers Super Viscount 818. CN/317 first flew from Weybridge as CU-T621 on 11-3-1958 and was delivered to Cubana during August of 1958. 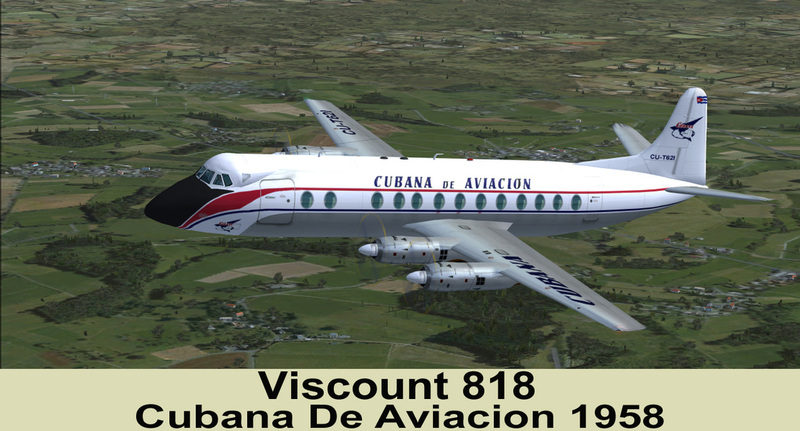 Cubana usually operated as many as five daily roundtrip Viscount flights between Havana and Miami year round, with additional flights during holiday periods. Aircraft was sold to SAA(South AFican Airways) in 1962 and was W/O in 1967 after crashing into the sea while on approach to FAEL (East London South Africa).